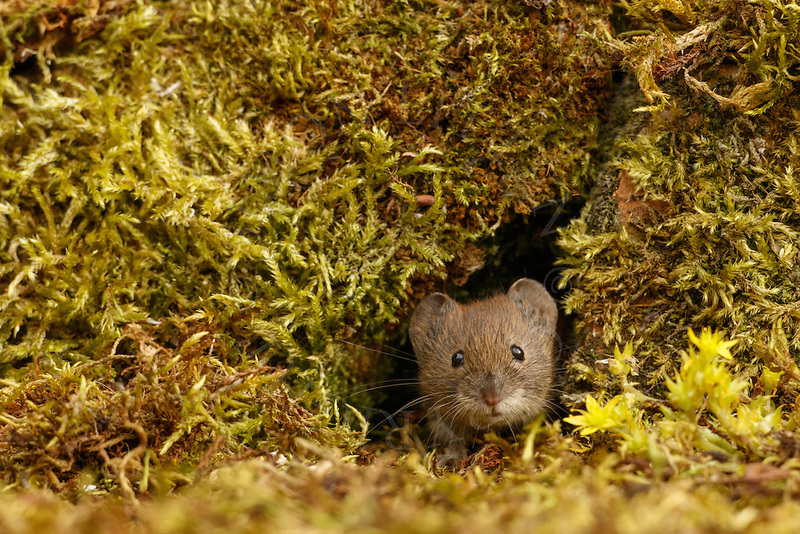 Bank Vole (Clethrionomys glareolus) adult emerging through hole in moss-covered wall, South Norfolk, UK. July. © Simon Litten - Strictly no unauthorised use.